We wish you a wonderful holiday and may the joy of the holiday season stretch on into the new year. With the festive season is upon us and the end of the year near, it’s time we reflect on the past year and commit to shaping the HR industry in 2018 by championing progressive practices that build workplaces that celebrate teamwork, talent, and togetherness. 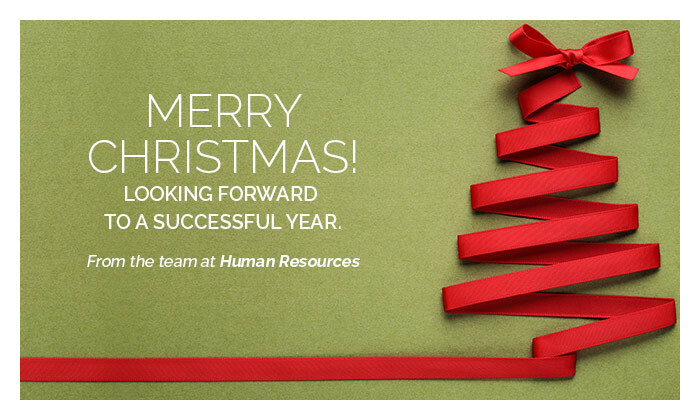 The team at Human Resources wishes you a fantastic holiday and a New Year filled with peace and prosperity for both your personal and professional life. Thank you for your continued support and partnership. We look forward to the years to come. For those who would like to getting their fix of HR related festive reading, we’ve rounded up newsletters containing all the year’s top stories for you to enjoy throughout next week as we head into an exciting new year. We will be back online on 2 January, so in the meantime we wish you an amazing holiday, filled with great food, drinks, friends and family.